Increase productivity and reduce intervention with this mono printer, all while reducing your business printing costs and environmental impact. Take advantage of low power consumption, a low Total Cost of Ownership (TCO), a fast First Page Out Time (FPOT) and features designed for easy business integration with the new WorkForce Pro WF-M5299DW. This business inkjet printer benefits from automatic double-sided printing, making any job easy and efficient, and PDL compatibility, including PCL and PostScript 3. Delivering the fastest (FPOT) in its segment of 4.8 seconds against comparable lasers. Print up to 40,000 pages without changing supplies with the largest ink yield in this segment. A paper capacity of up to 830 sheets with a 250-sheet main tray means less time spent refilling. A simple paper path and non contact printing allows it to print on a wide range of media including recycled paper, glossy media, envelopes and labels. Benefit from significantly fewer consumables due to its high yield and inkjet technology. The energy used while printing is at least 90% less than comparable laser models, helping to cut your energy bills and boost your CSR. Perfect for small workgroups with a high print volume, typically within larger organisations where a robust mono printing solution is demanded. A range of software and tools provide secure print options and help manage devices remotely. 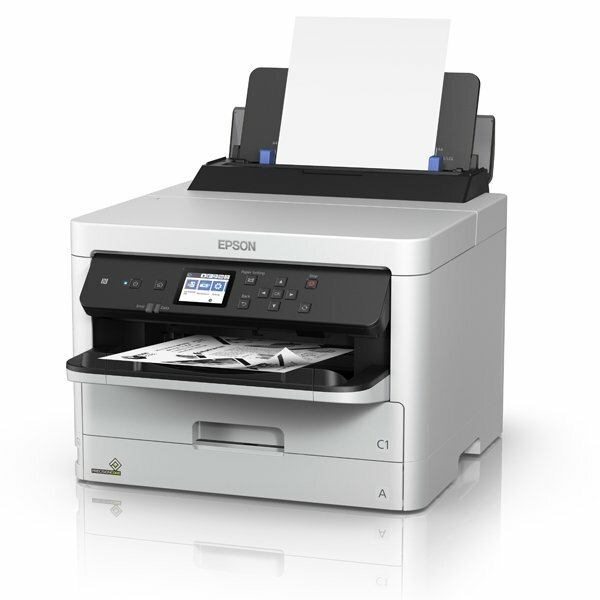 NFC and wireless connectivity also supports printing from mobile devices. Its user interface is intuitive and easy to operate. Here at Highline Office Technology, we will work with you to identify exactly what you print and how much it costs, harnessing hardware and software to build a bespoke solution to suit your precise business requirements. Matching the right machine with your printing needs is a vital first step in setting up an efficient and cost-effective print system.